Native to the tropical arid lands of southern Madagascar, the Madagascar palm (Pachypodium lamerei) isn't a palm at all, but a tree-like succulent in the oleander family, Apocynaceae. Also called clubfoot, Madagascar palm grows with a swollen trunk lined in three-clustered spines and branches bearing a spiraling cluster of slender green leaves. Fragrant white trumpet-shaped flowers occur in summertime. It loses its leaves in the mild frosts or drought of winter. 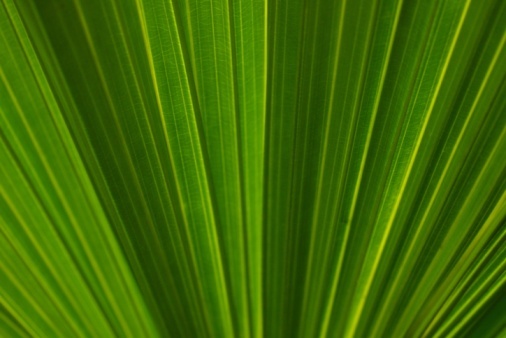 Outdoors in U.S. Department of Agriculture Hardiness Zones 9b through 11, madagascar palm grows to about 18 feet in height and 5 to 10 feet in width. It may be grown indoors in a warm, sunny room. 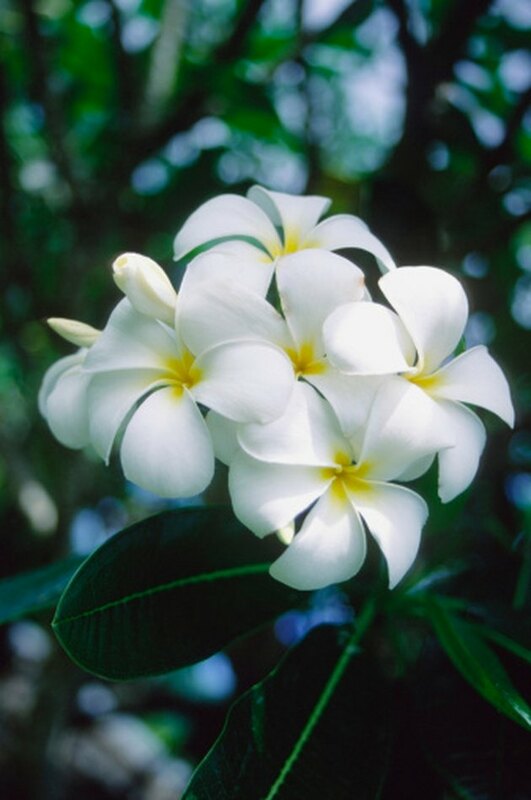 Madagascar palm is closely related to frangipani (Plumeria spp.). Look at the base of the Madagascar palm's trunk for small plant offsets. Snap off or cut the plant offsets from the trunk base with pruning shears and rest the offset cuttings on a piece of newspaper. Sap bleeds from the offsets, but the newspaper will absorb it. Air-dry the wounds on the cut offsets for four to eight days. High ambient humidity or cool temperatures prolong the time needed for the wounds to callous and dry completely. Fill a small pot with succulent/cactus potting soil mix, which contains lots of grit and drains freely. Insert a plant offset into the potting mix so that it remains upright and rests snugly. Lightly water the soil so that it is damp and place the pot in a sunny, warm window indoors or outdoors on the patio. Check on the young plant weekly, watering as needed to keep the soil damp. If temperatures rise above 85 degrees, daily watering may be needed to keep soil barely damp. In cooler winter months, err on the side of underwatering so no stem root occurs in the moist soil and cooler temperatures. Collect brown, ripe seed pods (they look like small cucumbers) from the upper branches of the Madagascar palm in late summer to late fall. Allow the pods to air dry fully for one to four weeks to ensure they fully ripen, split open and reveal the many white-winged seeds. Discard any pods that blacken and succumb to any rot. Soak the seeds in warm water for 24 hours by placing them in a small cup. Use nonchlorinated water. Fill a seed tray with coarse sand and place it in a warm, sunny location where temperatures hover between 70 and 80 degrees Fahrenheit. According to the website Plant of the Week, sown Madagascar palm seeds take three weeks to six months to germinate at 72 degrees. Place holes in the bottom of the seed tray to ensure proper drainage. Sow the pre-soaked Madagascar palm seeds in the moist sand tray, covering them with no more than 1/4 inch of damp sand. 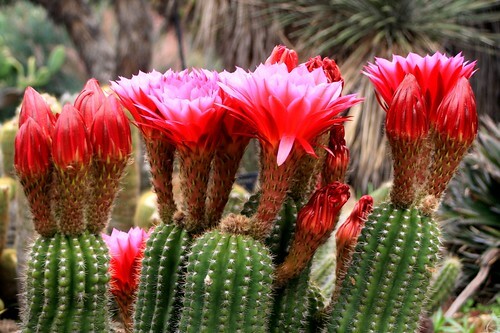 Seeds germinate in as little as three to four days, according to Cactus Art Nursery in Ravenna, Italy. Sporadic germination of seeds continues for up to six months after sowing. Wet the seed tray's sandy soil as needed to keep the soil moist until the seeds germinate. Fill a spray bottle with room-temperature water and use it for precise application of water to the sand without disrupting the sand particles or overwatering.